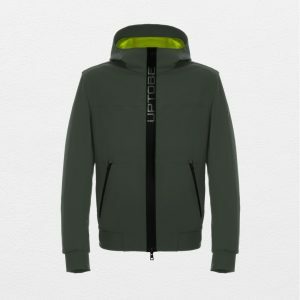 Utility jacket with hood made in Scuba technical fabric, two layers and four way stretch. 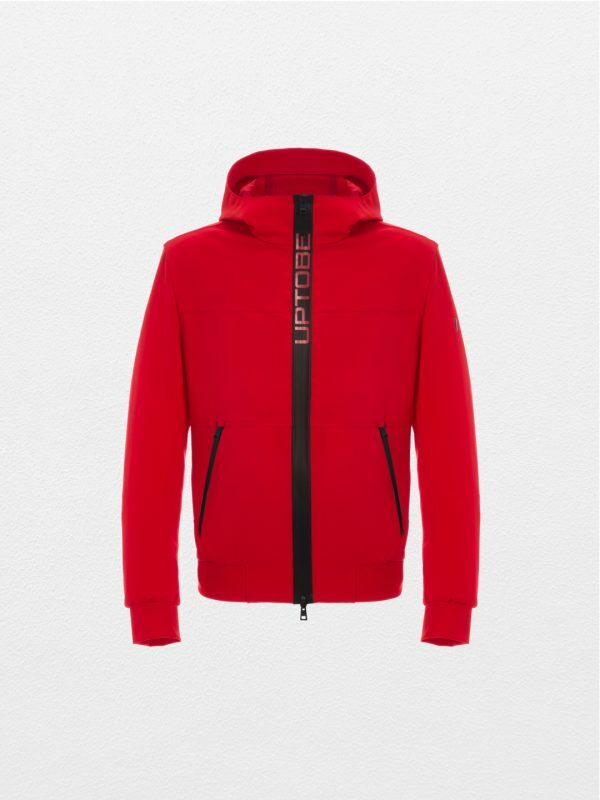 Water resistant zipper in contrast color on the central front and two sides pockets. Mesh used as finishing for internal hood and details. 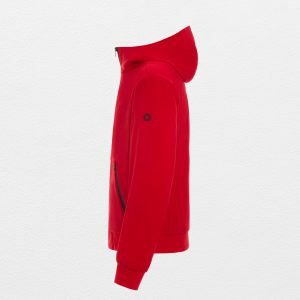 The key feature of the garment is the MacroLogo zipper. 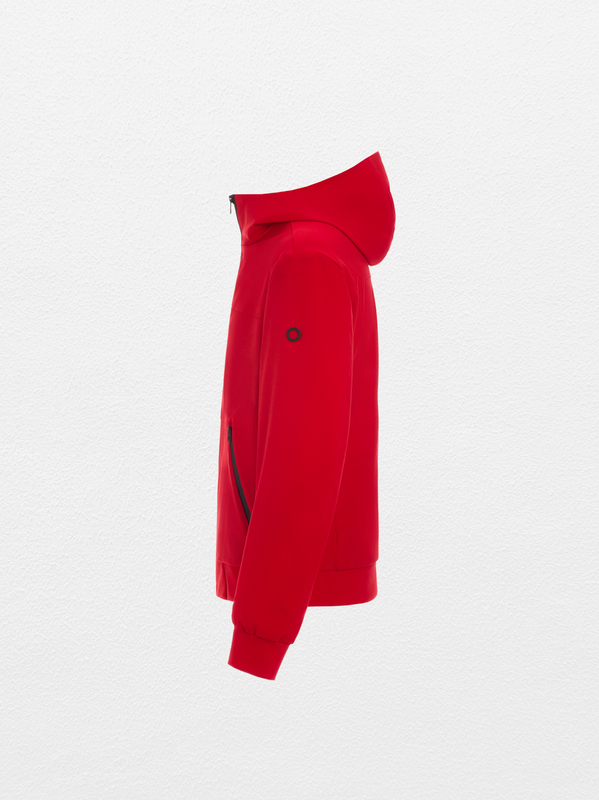 The classic utility jacket reinterpreted in Street-ActiveWear concept.